The Quiltzette: Flash Sale . . . Take an Extra 20% off Clearance Items! Starting tomorrow morning - April 14 - through Saturday, April 18 come in and raid our clearance rack. Take an EXTRA 20% off already marked down fabric, notions, patterns, and more. We moved many bolts of fabric to the clearance rack today! 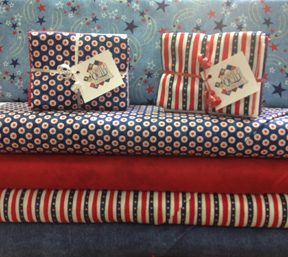 This adorable panel along with several coordinating fabrics also came in last week. Mommy and baby animals with a "down under" theme. Cute! 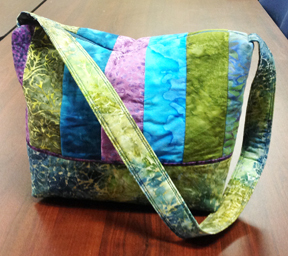 This cute bag is 10 inches wide x 9 inches tall x 4 inches deep and features six inside pockets and a zipper top closure. 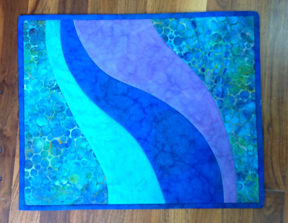 You can make it as shown using 2 1/2 inch strips or make the body of the bag using just one fabric. Great either way. Judy Bryan will teach this class. No homework! Clearance Sale . . . Almost Over! The response to our 7 Series clearance has been tremendous. 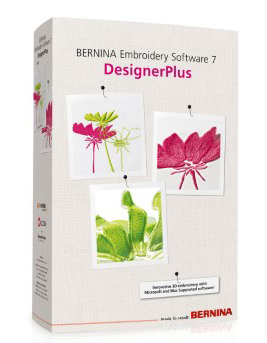 We now have only TWO BERNINA 780 sewing/embroidery machines in stock. Come in this week to claim one of them at a very sweet price and attend a Mastery Class on Sunday afternoon (4/19) to learn how to use and enjoy your new machine. 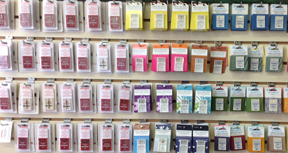 We're now stocking three different brands of sewing machine needles - Schmetz, BERNINA, and our newest line which is Groz-Beckert. This company, founded in 1852, has long been recognized as a leader in manufacturing needles for industrial machines. They recently entered the domestic market with needles made OF high-quality industrial grade German steel. With a few exceptions (e.g., some sergers), all brands work in all machines. We're often asked, "What needle should I use?" The answer depends on what you are doing. We found this comprehensive and handy reference guide at the Schmetz website. If you are curious about all the different sizes and types of sewing machine needles that are available you'll want to open, read, and perhaps even print a copy of this for your sewing room. The other question we're asked frequently is how often to change a sewing machine needle. Again, it depends on what you're working on (type of fabric, for example) and opinions vary, but we recommend changing a sewing machine needle . . .
- At the beginning of a new project (unless you last project was very small/short). This offer you the opportunity to think about and select the right needle for your new project. - If you are having trouble with thread breaking. - If the needle is even slightly bent or has a "burr" on it. - If you hear a popping sound when the needle goes into the fabric. A high-quality needle in good condition will give you the best stitch quality and is easier on your sewing machine.